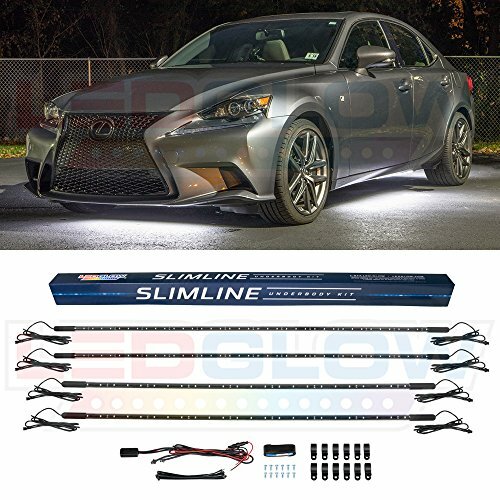 LEDGlow has redesigned the Green LED Slimline Underbody Lighting Kit to feature SMD LEDs instead of 5mm LED bulbs. 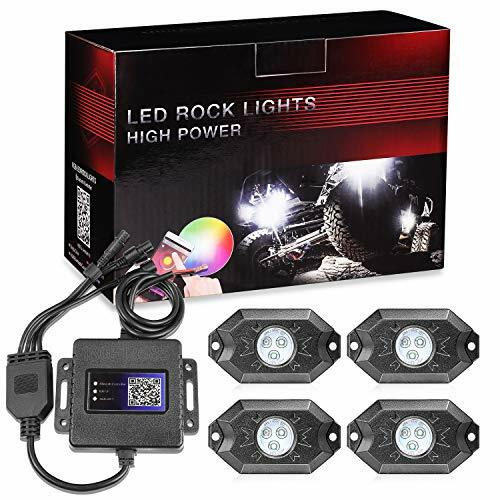 Product Features The SMD LED technology upgrade allows for a much brighter and spotless green glow that standard LED bulbs cannot compete with. 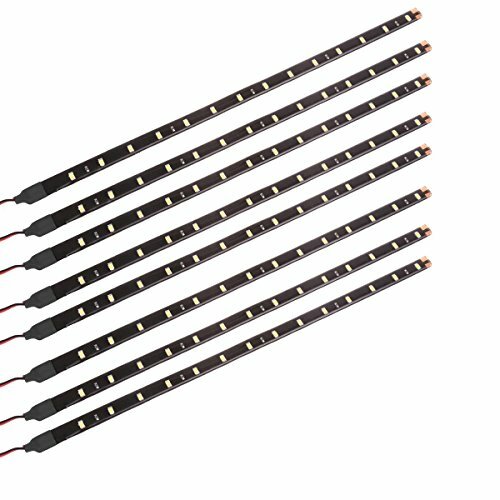 This 4pc Slimline Underbody Kit comes standard with (2) 46" and (2) 36" tubes that house 126 ultra-bright green SMD LEDs. Each tube features a slim design with a diameter of 5/8" and is powered by daisy chaining each tube to the next through the upgraded modular connectors. 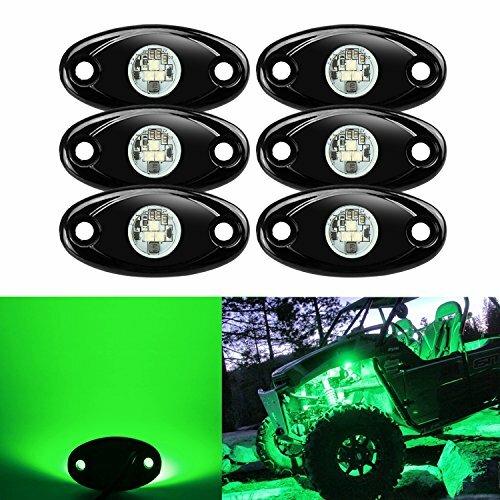 Operating this green underglow lighting kit is a breeze with the included on/off power switch that will transform your ride with one simple push of the switch. LEDGlow includes free lifetime technical support and a one year limited warranty with every purchase. 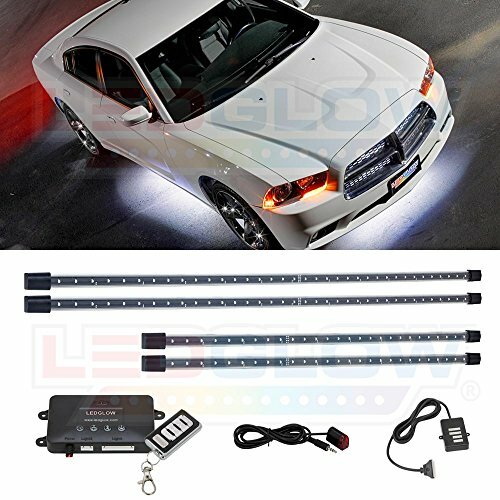 LEDGlow has redesigned the White LED Slimline Underbody Lighting Kit to feature SMD LEDs instead of 5mm LED bulbs. 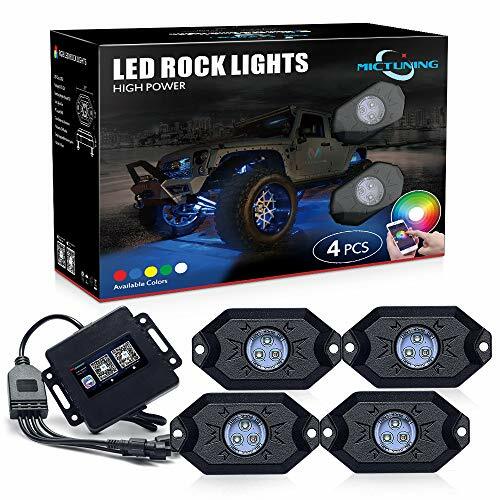 Product Features The SMD LED technology upgrade allows for a much brighter and spotless white glow that standard LED bulbs cannot compete with. 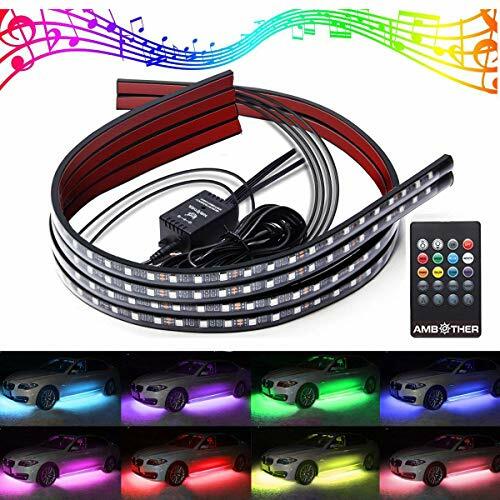 This 4pc Slimline Underbody Kit comes standard with (2) 46" and (2) 36" tubes that house 126 ultra-bright white SMD LEDs. Each tube features a slim design with a diameter of 5/8" and is powered by daisy chaining each tube to the next through the upgraded modular connectors. 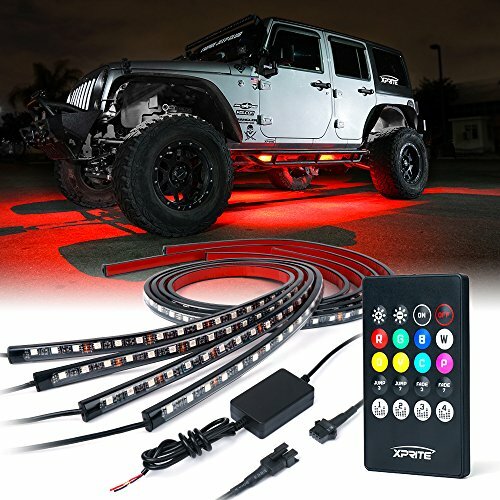 Operating this white underglow lighting kit is a breeze with the included on/off power switch that will transform your ride with one simple push of the switch. LEDGlow includes free lifetime technical support and a one year limited warranty with every purchase. 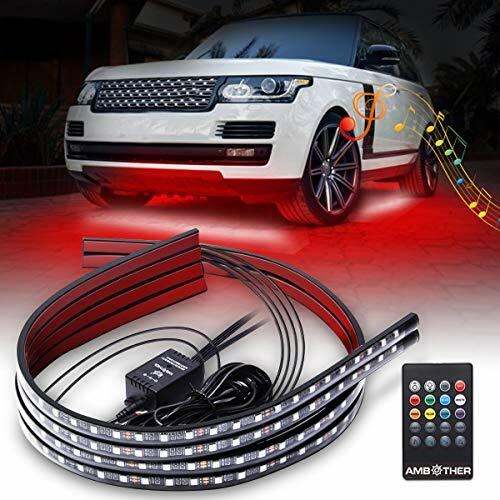 Built with advanced design and chips, each 24 in tube in this underbody light kit could display two different colors. The two colors a separated in 12 in sections in the 24 in tube. 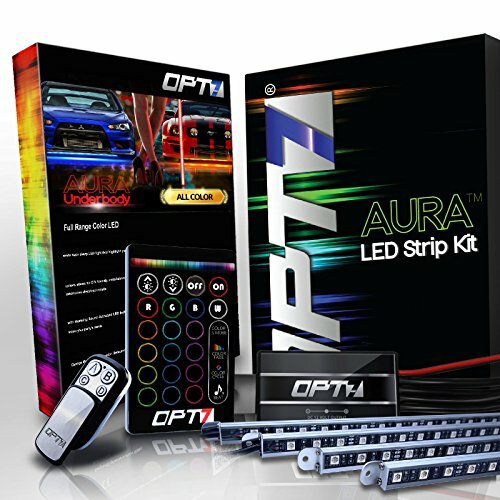 This exclusive feature enables the underglow kit form various dynamic patterns, such as light chasing and glow wave. 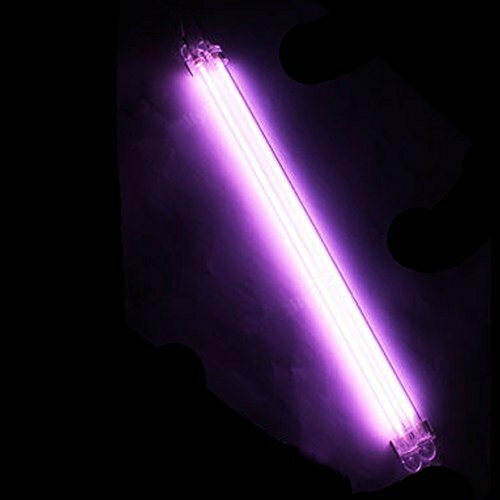 Each slim light tube has 18 SMD LEDs on board, which are much brighter and durable than regular LEDs. All parts are protected with reinforced poly-carbonate tube and waterproof epoxy. 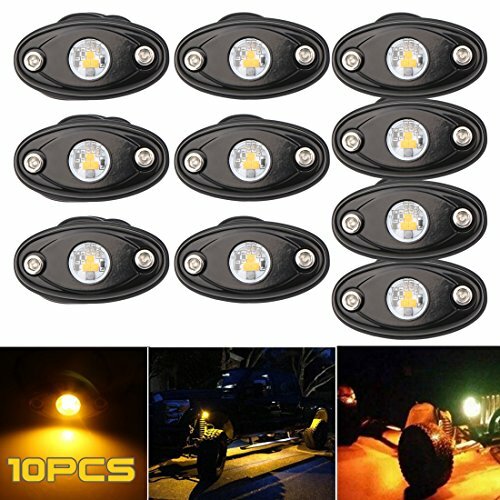 The total 8 lights perfectly contour to the vehicle and form the fascinating undercar light. 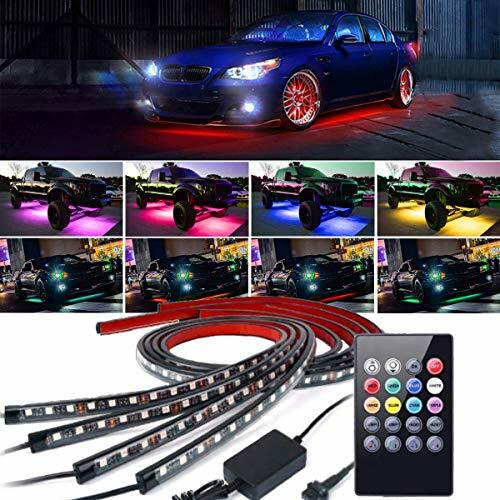 Zento Deals 7 Colors LED Undercar Glow Underbody System Neon Lights Kit 36" x 2 & 48" x 2 w/ Sound Active Function and Wireless Remote Control ★The car light kit is composed with 252 Bright Mini Bulbs. The shell is made out of PVC Material, which can be Bent freely and has the characteristic of high and low Temperature Resistance and Waterproof function. 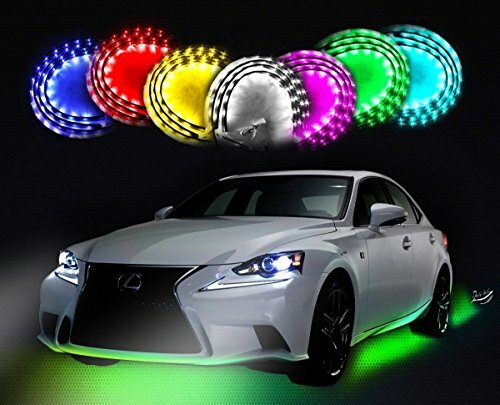 ★It increases your Night Driving Pleasure. 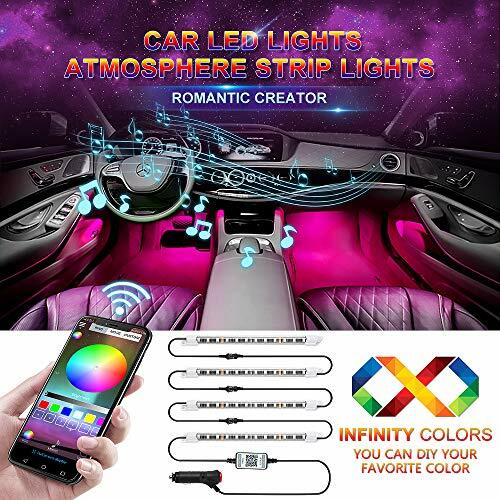 it is a good product to Decorate your car. 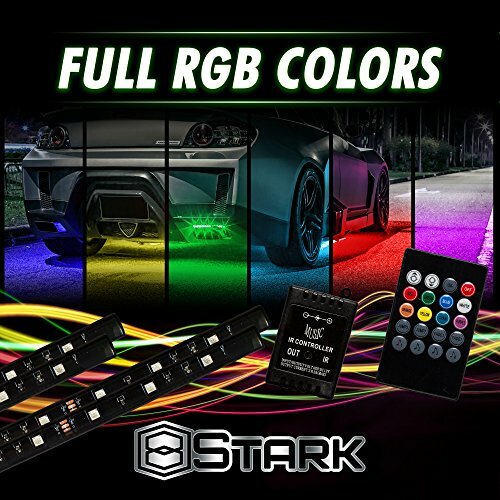 ★This kit has 3 Main Colors (Red, Blue, Green) LEDs and it can create 7 colors when they Alternate. The 7 Colors are: Blue, Green, Purple, Red, Teal, White, and Yellow. 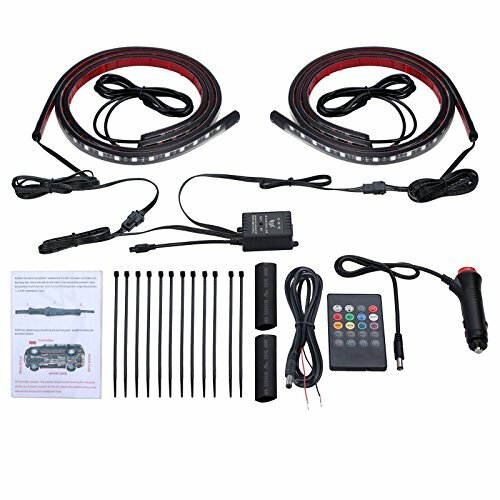 Zento Deals is known for its superior products, quality, and service. OFFROADTOWN is committed to providing innovative technologies & always guarantees a quality product. 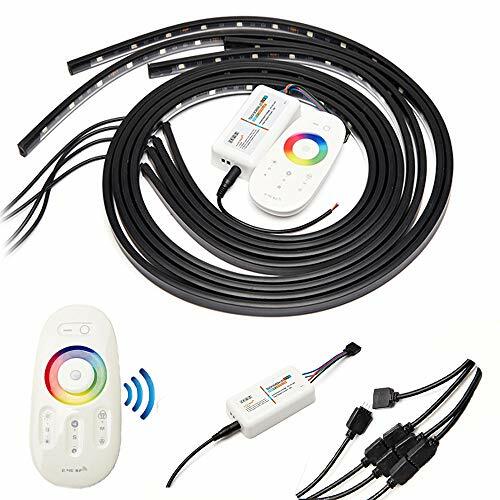 Our primary goal is to design and manufacture the best forward projecting and auxiliary LED lighting products to protect your safety. 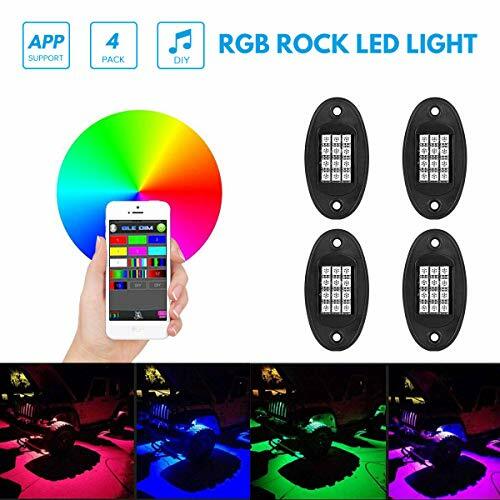 FEATURES -4pcs RGB LED Rock Light Pods -Broad flood beam design -Powder Coated Die-Cast Aluminum Housing with Shatter Resistant Polycarbonate Lens -Customized RGB Color, Light Modes and Functions via Mobile Bluetooth App Available for Android or iOS -Light up the ground below for better approach angles -Easy Plug-N-Play Install and Wire Management SPECIFICATIONS -Wattage: 3 watts each LED | Total 36 watts -LED Source: Cree RGB -Voltage: 9-32V -IP Rating: IP68 Waterproof -Dimensions: 1.89 * 1.6 '' APPLICATION -Made for all makes and models. 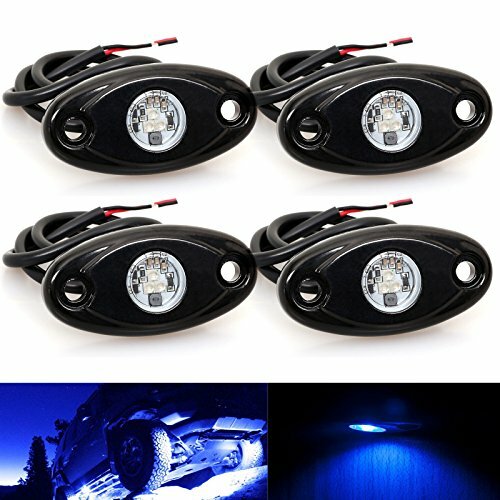 -Fit for car, truck, off road, boat deck, sportbikes, cruisers, touring, ATV's etc. 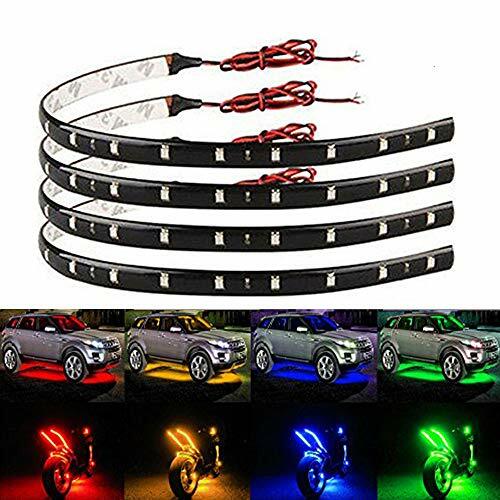 -Widely used in car lights, card lights, off-road lights, headlight machinery, agricultural machinery, construction lights, headlight excavators, forklift lights, snow lights, light armored vehicles and other vehicles with lighting. MIHAZ has been enrolled under Amazon Brand register ( US, UK, ES, DE, IT, FR ).MIHAZ can guarantee the quality of item and service! Good quality as long life? MIHAZ can not say it is 100% perfect quality. 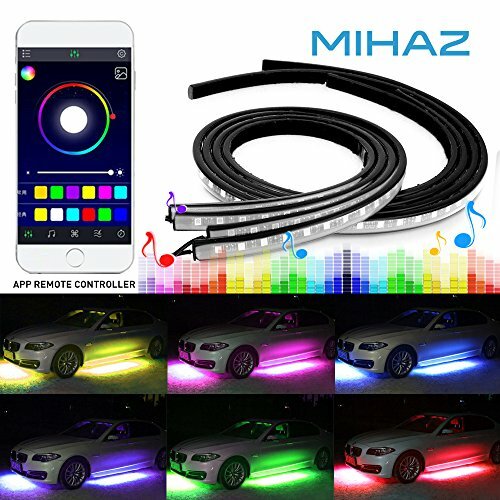 But we are sure that you will get the happy experience of MIHAZ service!1.Power: 36W 2.Voltage: DC12V 3.Current: 0.5A 4.Light Source: 5050 5.Color: RGB 6.Size: 2 pcs 90cm(36") +2 pcs 120 cm(48")+ 1 x DC12V 5A power adapter7.Function: 4 modes of Music Control, 2 Modes of Jump, 2 Modes of Fade, 8 colors (red, blue, orange, white, green, yellow, cyan, purple- Custom Fuse Adapters Unique to Mihaz, our kit includes (2) different sized fuse adapters that allow you to plug your kit directly into your fuse box to ensure a clean install. 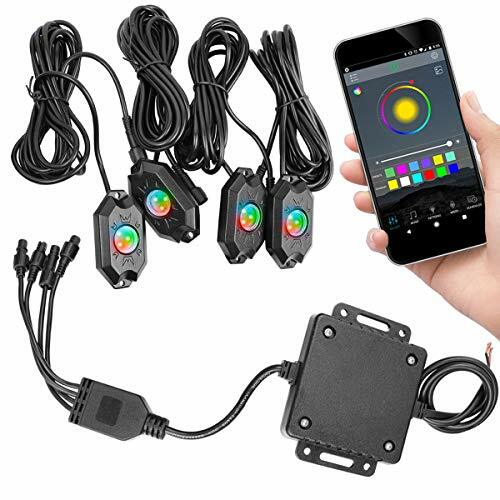 E-Z Programming Once installed, easily select the pattern by your cell phone APP Advanced color dimming Variable speed control Multiple flashing modes Customer Service: Please note that make sure you connect to 12V power so that all colors can be worked well. But there is 0.5% of items with quality problem please contact to us to exchange before your review. We will get you the satisfied option. 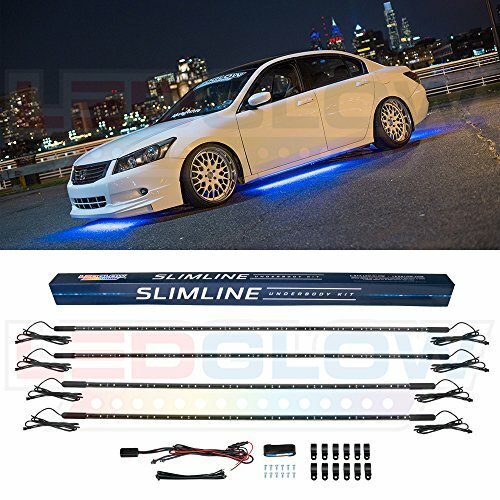 LEDGlow has redesigned the Blue LED Slimline Underbody Lighting Kit to feature SMD LEDs instead of 5mm LED bulbs. 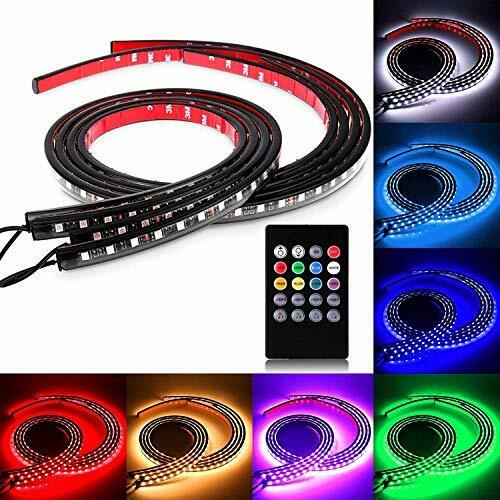 Add the neon glow you're looking for with the durability and reliability of LED technology. 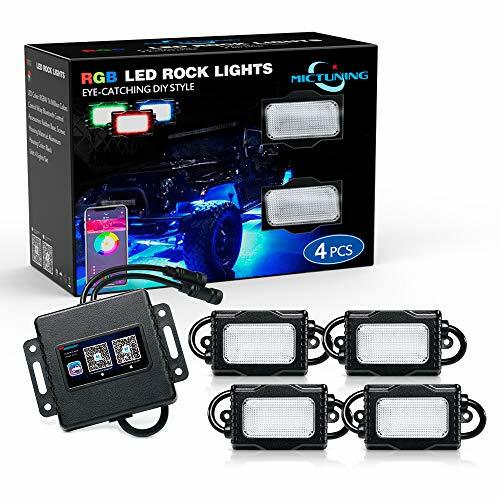 Product Features The SMD LED technology upgrade allows for a much brighter and spotless blue glow that standard LED bulbs cannot compete with. 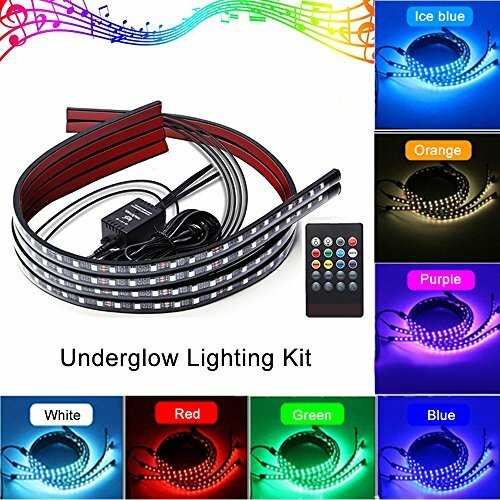 This 4pc Slimline Underbody Kit comes standard with (2) 46" and (2) 36" tubes that house 126 ultra-bright blue SMD LEDs. 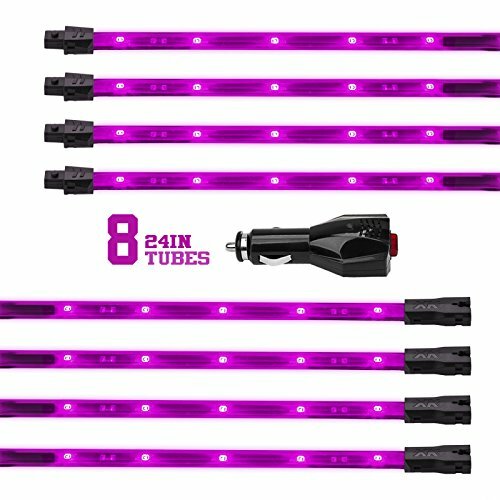 Each tube features a slim design with a diameter of 5/8" and is powered by daisy chaining each tube to the next through the upgraded modular connectors. 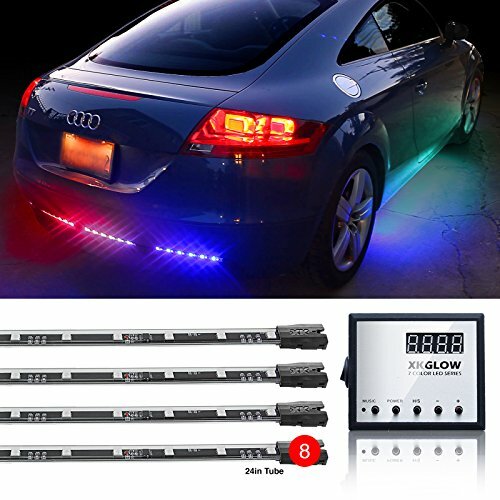 Operating this blue underglow lighting kit is a breeze with the included on/off power switch that will transform your ride with one simple push of the switch. 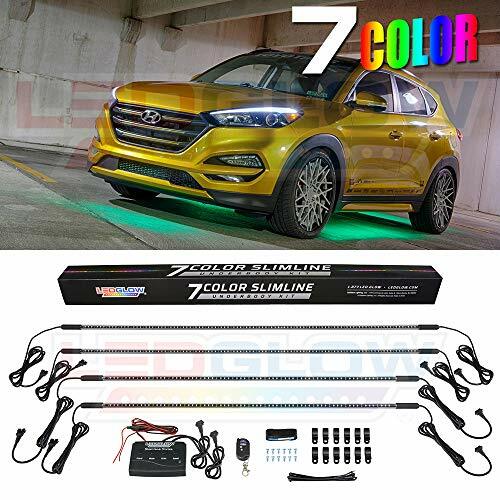 LEDGlow includes free lifetime technical support and a one year limited warranty with every Blue LED Slimline Underbody Kit. 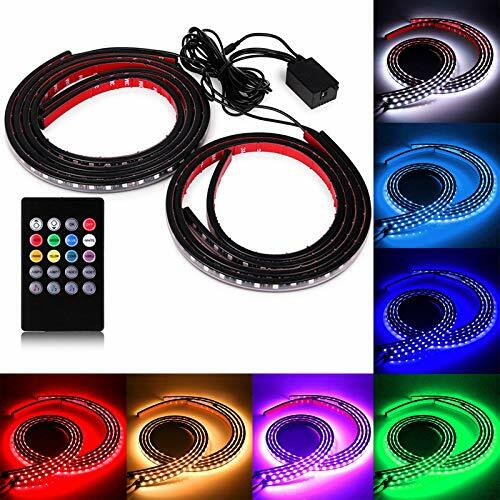 Function 16 Unique Colors Modes: White strobe, color-cycle, music, color fade Wheel Well Strips Four Pieces 24" Import LED Strips Product Specs: Wheel Ring Diameter: 15.5" Mounts to Brake Rotor Dust Shield Operating Voltage: 12V DC Vibrantly lights up Wheel Wells Fits around Brake Rotor Can withstand high heat temperatures Universal Fitment Mounting Hardware and Rocker Switch Include Q&A 1. 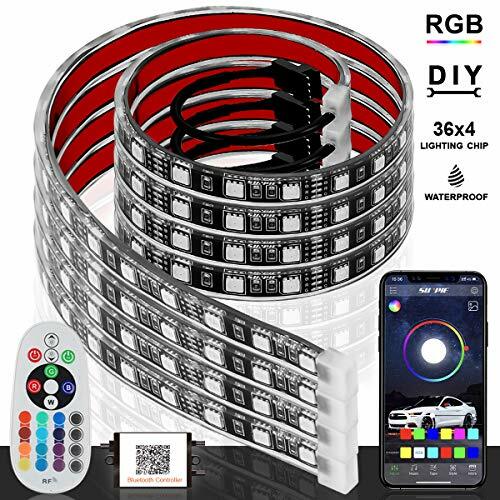 What are the dimensions of the strips themselves. 24" long by how wide? They are 24in long and approximately 1/2 wide. They are installed and I am unable to measure them. 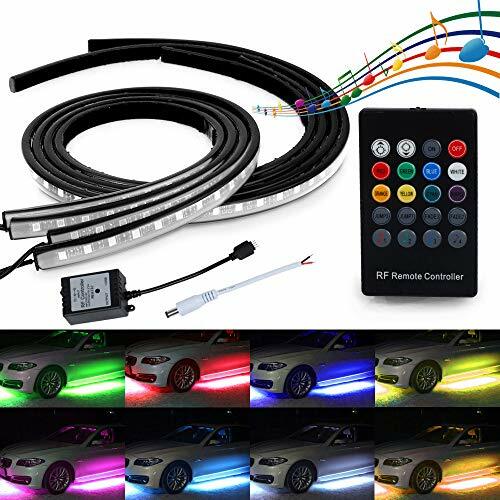 They are great lights and I would recommend them 2.Will this work wirk on a 2015 subaru wrx? Yes, this product is compatible with your 2015 Subaru WRX. 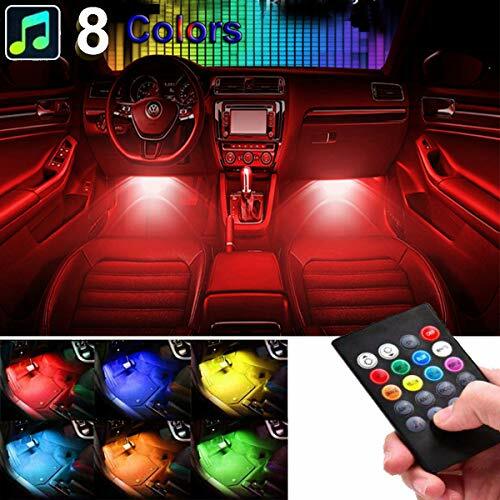 3.Do they flash and switch colors by the beat? Yes. I need to order three more boxes. 4.Will this fit on a 2013 dodge charger? 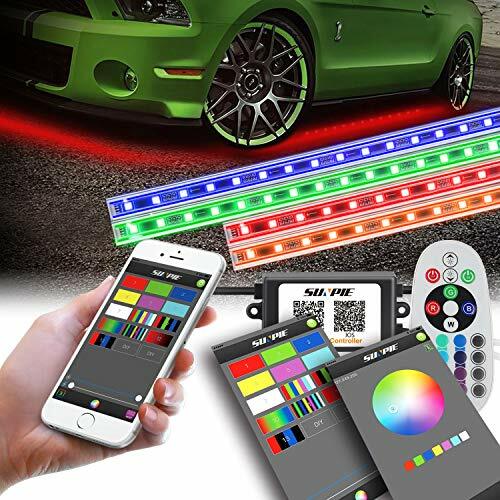 Yes,Wheel Well LED kit is universally designed to work with just about any passenger vehicle that has a 12 v battery 5.Will it work on a 2011 Ford Mustang? 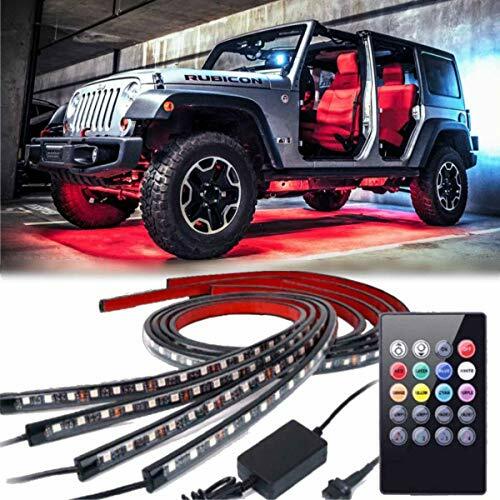 Yes,Wheel Well LED kit is universally designed to work with just about any passenger vehicle that has a 12 v battery 6.How long are the harnesses? I have a long bed F150 pick up. 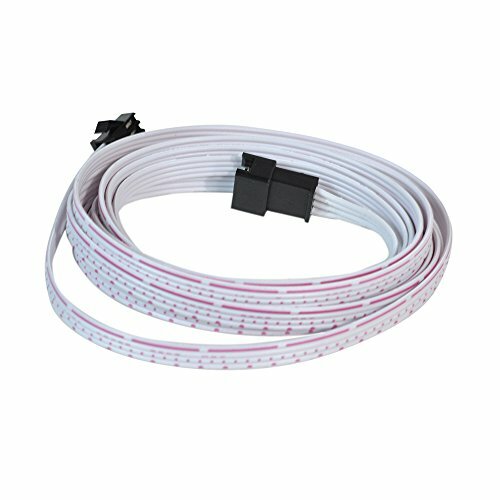 We will offer a extension kit. 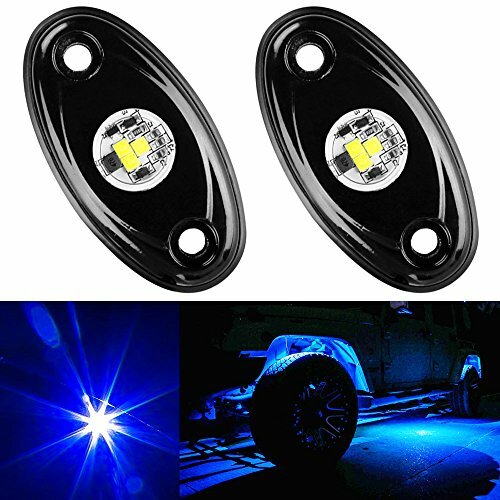 Compare prices on Undercar Light at LiveSaler.com – use promo codes and coupons for best offers and deals. We work hard to get you amazing deals and collect all avail hot offers online and represent it in one place for the customers. Now our visitors can leverage benefits of big brands and heavy discounts available for that day and for famous brands. We try to makes comparison shopping easy with Product Reviews, Merchant Ratings, Deal Alerts & Coupons. Find Deals, Compare Prices, Read Reviews & Save Money.